Irish explorers stand at the heart of the epic story of Antarctic exploration, which is currently commemorating the 100th anniversary of Shackleton’s famous Endurance expedition. It was an era of discovery echoing with episodes of unimaginable hardship, awe-inspiring endurance and incredible feats of survival. Yet the Irish heroes at the centre of the drama were quickly forgotten and shoved to the margins of history. 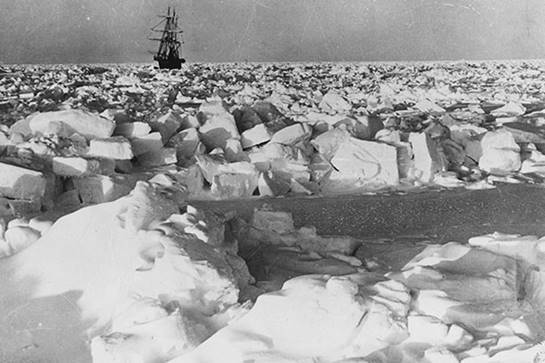 The men included the enigmatic Edward Bransfield, the unassuming Francis Crozier, the charismatic leader, Ernest Shackleton and the unsung hero Tom Crean. These men discovered Antarctica, mapped the frozen wastes and were the pathfinders who penetrated the brutal interior, but were soon forgotten. These men sailed to the ice during Ireland’s period under British rule and after Independence, it was impossible to celebrate any association with the British. With striking symmetry, the age of Antarctic exploration ended with Shackleton’s death on January 5, 1922 — two days before Dáil Éireann ratified the Anglo-Irish Treaty of independence. Bransfield and Crozier were already footnotes to history and those like Crean, Forde and Keohane, who together had served 80 years in the British navy, were compelled to remain silent about their exploits. Few books were written about these men, no statues were erected and their names faded from history. Only now is Ireland starting to recognise these men. 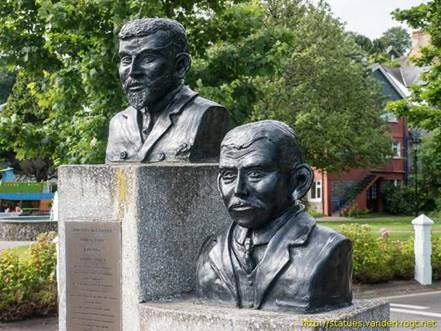 Statues have been erected to Crean in Anascaul, Crozier in Banbridge, Forde at Cobh, Keohane in Courtmacsherry and the McCarthy brothers in Kinsale. 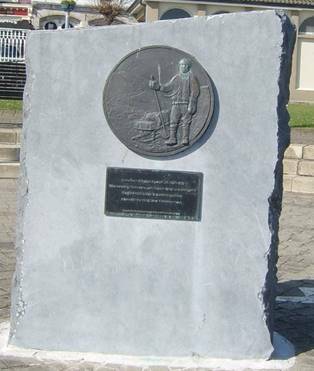 The cabin where Shackleton died will soon be placed on permanent display in Athy, Kildare. Edward Bransfield came from Ballinacurra, near Midleton in Cork. Born in 1785, he was press-ganged into the navy during the Napoleonic Wars and served for over 20 years. In 1819 he was asked to take the small merchant brig, Williams, to investigate the sighting of unchartered islands south of Cape Horn and made the first verified sighting of the Antarctic coastline in January 1820. Unfortunately there is no known picture. The one we originally had here was incorrectly attributed to being him. Bransfield’s claim was challenged by the rival Russian navigator, Thaddeus von Bellingshausen, who had spotted land three days earlier. While Bransfield dutifully recorded his sighting, Bellingshausen was not certain and the controversy about who first sighted Antarctica rages until this day. However, no portrait or photograph of Bransfield has ever been discovered and the face of the man from Ballinacurra who made the first definitive sighting of Antarctica remains a mystery. 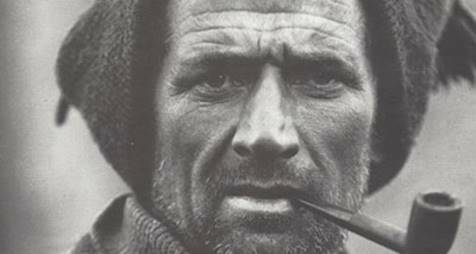 Tom Crean, from Anascaul, Kerry, was the unsung hero of Antarctic exploration. Born on a farm in 1877, Crean ran away from home to join the navy at 15 and served on three of the great expeditions in the early 20th century. He served with both Scott and Shackleton, spent longer on the ice than either and outlived them both. 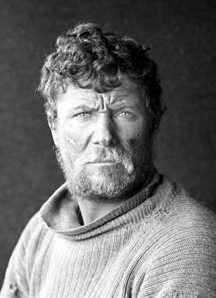 Crean volunteered for the Discovery expedition in 1901 and was among the last to see Scott alive in 1912, just 150 miles from the South Pole. He returned to ice to bury his frozen body. 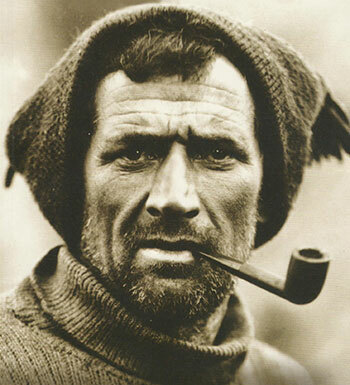 Crean joined Endurance in 1914 and was one of Shackleton’s key men in the fight for survival after the ship sank. He made the open boat journey to South Georgia and marched across the island to bring rescue to his comrades marooned on Elephant Island. His brother, a sergeant in the Royal Irish Constabulary, was shot dead as Crean returned to Kerry. As a result he never spoke about his exploits in the ice. Crean opened a pub, The South Pole Inn in Anascaul and died of a burst appendix in 1938. The pub is open to this day. Francis Rawdon Moira Crozier came from a well-to-do family in Banbridge, County Down. He was born in 1796, joined the navy at 13 and served with great distinction for almost 40 years. Crozier was master seaman and involved with the three major discoveries of the 19th century — navigating the North West Passage, finding the North Pole and mapping the Antarctic. He sailed on six expeditions but alone among the great naval explorers of the age — Franklin, Ross, Parry, etc — Crozier never received a knighthood. 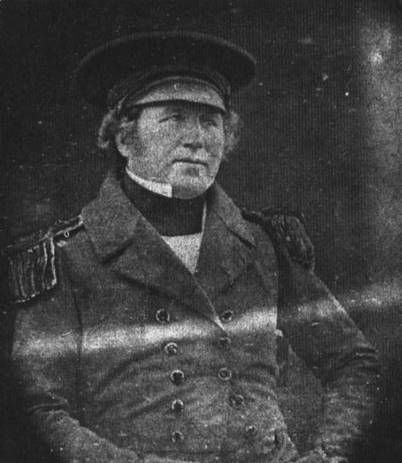 Crozier assumed command of the disastrous Franklin expedition to North West Passage in 1847 and led the desperate battle to escape from the ice. None of the 129 men survived, though Canadian archaeologists have recently discovered the wreckage of one ship which may provide vital clues to the causes of the disaster. Ernest Shackleton, born near Athy, County Kildare in 1874, dreamt of being an explorer as a child and subsequently lived the dream on four remarkable voyages to the Antarctic. He sailed with Captain Scott’s Discovery expedition in 1901 and returned in 1909 to march within 97 miles of the South Pole. His greatest venture, the Endurance expedition, took place exactly 100 years ago when his ship was crushed by the ice and Shackleton led 28 men to bleak refuge on the hostile Elephant Island. Leaving 22 men on the island, he sailed an open boat to South Georgia and eventually rescued the castaways. 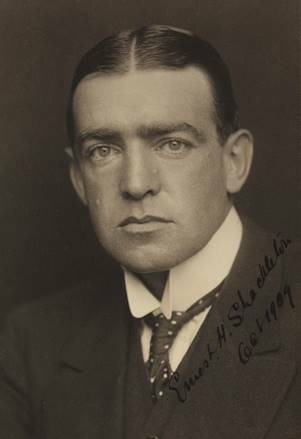 Shackleton was an outstanding leader who made one final voyage to the Antarctic and died in South Georgia in 1922, aged 47. On being told of her husband’s death, his wife Emily ordered that he be buried in the south — “where he was happiest”. Patrick Keohane was a man of the sea, brought up near Barry’s Point on the Seven Heads Peninsula in Cork. His father was coxswain of the Courtmacsherry lifeboat, among the first vessels to reached the torpedoed Lusitania in 1915. Keohane entered the navy at 16 joined Scott’s ill-fated expedition to the South Pole. He marched to within 350 miles of the Pole in 1911 and was a member of the party which buried Scott a year later. Keohane was married into a Cork coastguard family and fled to England during the War of Independence. He served in two World Wars and lived long enough to act as an adviser to makers of the film, Scott of the Antarctic in 1948. Robert Forde sprang from the hills of West Cork near Kilmurry and was almost certainly related to the legendary car maker, Henry Ford whose family came from the same area. He was born in 1875 and joined the navy in 1891. Forde joined Scott’s South Pole expedition in 1910 but was invalided home after suffering a severely frostbitten hand during a sledging trek when temperatures plunged to -73° F (-58° C). He was multi-skilled and left behind a makeshift granite shelter which is now protected as a site of historic interest. Forde, a protestant, returned to Cobh during the post-independence upheavals and kept silent about his service on the Scott expedition. He lived until 1959, the last surviving member of Scott’s three men from Munster — Crean, Keohane and Forde. He was still wearing a glove to protect his hand from the effects of frostbite half a century before. Mortimer and Tim McCarthy, one of only two pairs of brothers to serve with Scott and Shackleton, were raised near the waterways of Kinsale in Co. Cork. Both went to sea at an early age and Mortimer worked as a seaman for over 70 years. Mortimer lied about his age and joined at 12 before signing up for Scott’s Terra Nova expedition to the Antarctic in 1910. He made three round-trips to the Antarctic on the ship and was still working on ships in his 80s. Mortimer made a nostalgic trip to the Antarctic in 1963 at the age of 81 and died in a tragic fire in 1967, aged 85. Tim McCarthy was a merchant seaman with a flair for handling small boats learned in Kinsale. 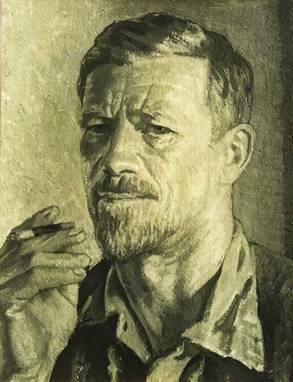 He joined Shackleton’s Endurance expedition in 1914 and was an important member of the James Caird on the open boat journey from Elephant Island to South Georgia. Tim went back to the sea and his ship was torpedoed with the loss of all hands in March 1917. Tim was 28 and his brother, Mortimer collected his Polar Medal. Francis Leopold McClintock was born 8 July 1819 in Dundalk, County Louth. He became a member of the Royal Navy as a gentleman volunteer in 1835, and joined a series of searches for Sir John Franklin between 1848 and 1859. He mastered travelling by using human-hauled sleds, which remained the status quo in Royal Navy Arctic and Antarctic overland travel until the death of Captain Robert Falcon Scott RN in his bid to reach the South Pole. In 1848–49, McClintock accompanied James Clark Ross on his survey of Somerset Island. As part of Capt. Henry Kellett's expedition 1852 to 1854, McClintock travelled 1,400 miles by sled and discovered 800 miles of previously unknown coastline. 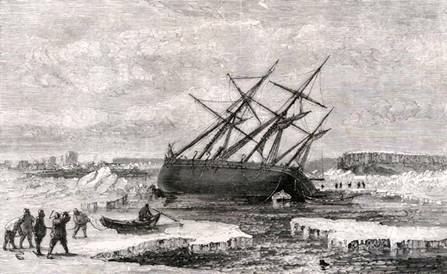 In 1854 the explorer John Rae travelled west from Repulse Bay, Nunavut and learned from the Inuit that a ship had been abandoned somewhere to the west. Previous expeditions had not searched the area because they thought it was ice-blocked. In April 1857 Sir Francis Leopold McClintock agreed to take command of the Fox (177 tons, 25-man crew), which belonged to Lady Franklin, and search for her husband in the area west of Repulse Bay. 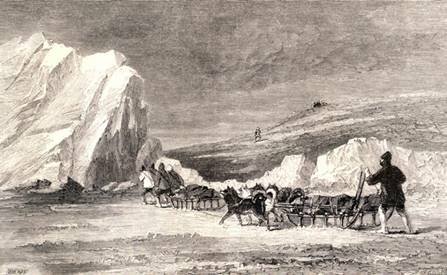 At Disko Bay he hired 30 sled dogs and an Inuit driver. It was a bad year for ice and from September he was frozen in for eight months. 1858 was another bad year and he did not reach Beechey Island until August. He entered Peel Sound, found it blocked by ice, backed up, and entered Prince Regent Inlet in the hope of passing Bellot Strait. He was glad to extricate himself from this narrow passage and found winter quarters near its entrance. In February 1859, when sledging became practical, he went south to the North Magnetic Pole which had been found by James Clark Ross in 1831. Here he met some Inuit who told him that a ship had been crushed by ice off King William Island, the crew had landed safely and that some white people had starved to death on an island. In April he went south again and on the east coast of King William Island met other Inuit who sold him artefacts from Franklin's expedition. William Hobson, who had separated from him, found the only written record left by Franklin's expedition buried under a cairn on the northwest corner of the island (the document stated Franklin's date of death as June 11, 1847, and also intimated Francis Crozier and James Fitzjames' plan to lead the survivors south, towards mainland Canada). They also found a skeleton with European clothes and a ship's boat on runners containing two corpses. They got as far south as Montreal Island (Nunavut) and the mouth of the Back River. McClintock returned to England in September 1859 and was knighted. The officers and men of the Fox shared a £5,000 parliamentary reward. The tale was published in The Voyage of the 'Fox' in the Arctic Seas: A Narrative of the Discovery of the Fate of Sir John Franklin and His Companions. London, 1859. McClintock's findings were of special importance for the subsequent romantification of John Franklin's figure in British culture, since the establishment of his date of death as having occurred before the ships' abandonment and the crew's failed trek south firmly acquitted the veteran sailor from any suspicion of cannibalism, which had been a concern since 1854, when John Rae had arrived in England with shocking reports from Inuit sources which had greatly scandalized Victorian society, particularly Lady Franklin. McClintock's writings, on the other hand, were obsequious towards Franklin, even going so far as to celebrate his "virtual completion" of the Northwest Passage, even though Erebus and Terror never sailed through Rae Strait, the only truly navigable passageway (with nineteenth-century ships) that would have allowed sailing along Canada's coast all the way to the Pacific. 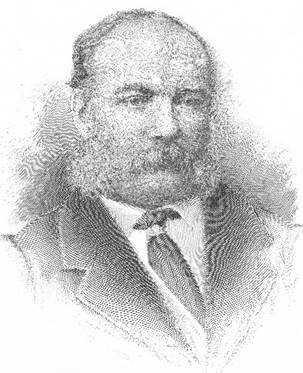 In 1872–1877 McClintock was Admiral-Superintendent of Portsmouth Dockyard. In 1879 he was appointed Commander-in-Chief, North America and West Indies Station with the flagship HMS Northampton. McClintock left the Royal Navy in 1884 as a Rear Admiral. 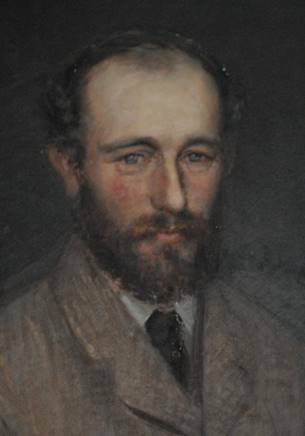 He died on 17 November 1907. He was buried in Kensington Cemetery, Hanwell, Middlesex. Saoirse, under O'Brien's command and with two crew, was the first small yacht (42-foot, 13 metres long) to circumnavigate the world south of the three great capes: Cape Horn, Cape of Good Hope and Cape Leeuwin. 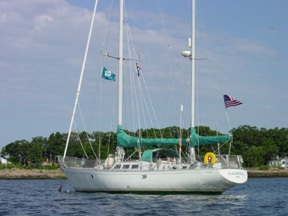 Sailing Spray in the mid 1980s, Joshua Slocum was the first to circumnavigate in a small yacht; single handed at that. The first yacht to round the globe was the large Brigantine Sunbeam, skippered by Lord Brassey. 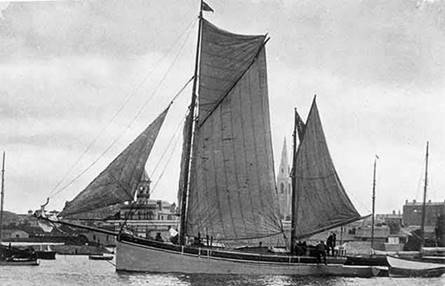 Saoirse was also the first boat flying the Irish tri-colour to enter many of the world's ports and harbours. O'Brien ran down his easting in the Roaring Forties and Furious Fifties between the years 1923 to 1925. Up until O'Brien's circumnavigation, a journey that he documented in his book Across Three Oceans, this route was the preserve of square-rigged grain ships taking part in the grain race from Australia to England via Cape Horn (also known as the clipper route). O’Briens voyage began and ended at the Port of Foynes, County Limerick, Ireland, where he lived. O'Brien died on Foynes Island in 1952. Saoirse is currently being re-built by Liam Hegarty at his Oldcourt Boatyard near her birthplace of Baltimore. Saoirse is scheduled to sail again in 2020. 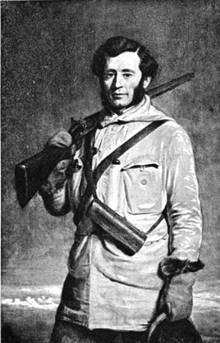 Sir Henry William Gore-Booth, 5th Baronet (1 July 1843 – 13 January 1900), was a notable Arctic explorer, adventurer and landowner from Lissadell House, Sligo, Ireland. During his Arctic expeditions, Sir Henry was involved in the rescue of a fellow Arctic explorer called Benjamin Leigh Smith in 1882. Sir Henry was also a prolific writer on a variety of topics including Arctic exploration, yachting, whaling, polar bear hunting and shark fishing. He sailed his own yacht to the Arctic. He also hunted big game in Africa. Much of his Arctic memorabilia is now on display in The Billiard Room of the now refurbished Lissadell House. Sir Henry died at St. Moritz, Switzerland, on 13 January 1900, the cause of death being an attack of influenza. In August 1849, 18-year-old Arthur MacMorrough Kavanagh from Borris, County Carlow, set off on a journey from Ireland to India via Norway, Russia, the Caspian Sea and the Persian Gulf. What made his 5,000 mile overland journey particularly extraordinary is that Arthur was born without arms, legs, hands or feet. Not only was this limbless gentleman an intrepid traveller, he was also a fine shot, a passionate huntsman, a noted sailor, a keen angler, an amateur photographer, a useful draughtsman, a best-selling author and a father of seven. Kavanagh died of pneumonia on 25 December 1889 in London, and was buried in Ballicopagan cemetery.